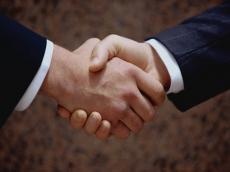 Tajikistan and Kuwait have discussed new promising ways to intensify bilateral cooperation, Tajik media reported. Ambassador of Tajikistan in Kuwait Zubaydullo Zubaydzoda met with ex-head of the Kuwaiti Council of Ministers Sheikh Nasser Mohammed Ahmad Al-Jaber Al-Sabah. “Sheikh is an influential political and public figure in Kuwait,” the Tajik Foreign Ministry said. The parties considered issues related to the development of bilateral mutually beneficial relations. An assessment of the situation in the Middle East and Afghanistan was also made at the meeting, the Tajik Foreign Ministry said.